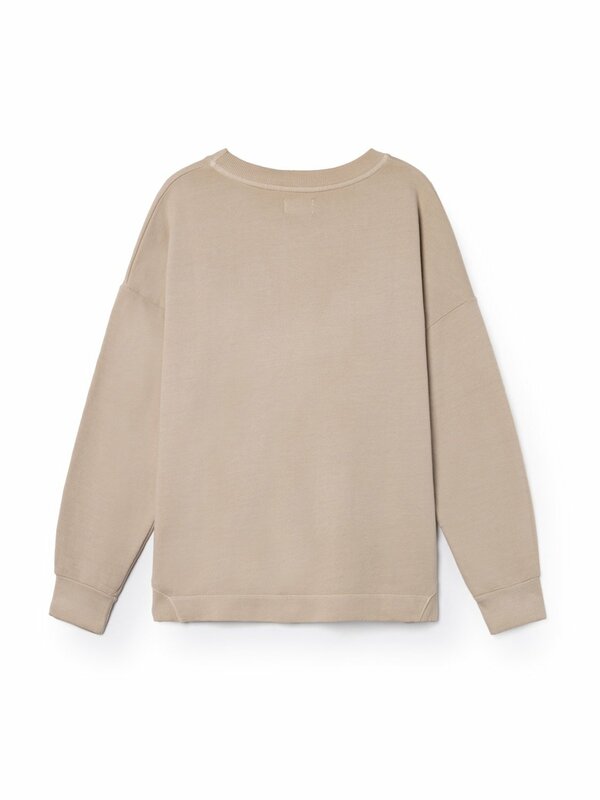 Beige loose round neck sweatshirt. 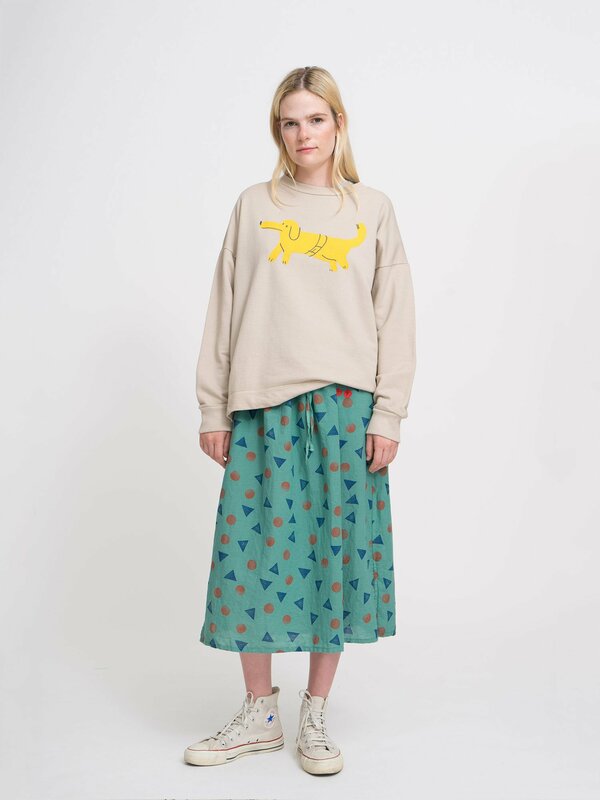 It features a fun dog print on the front. Made locally in Spain. 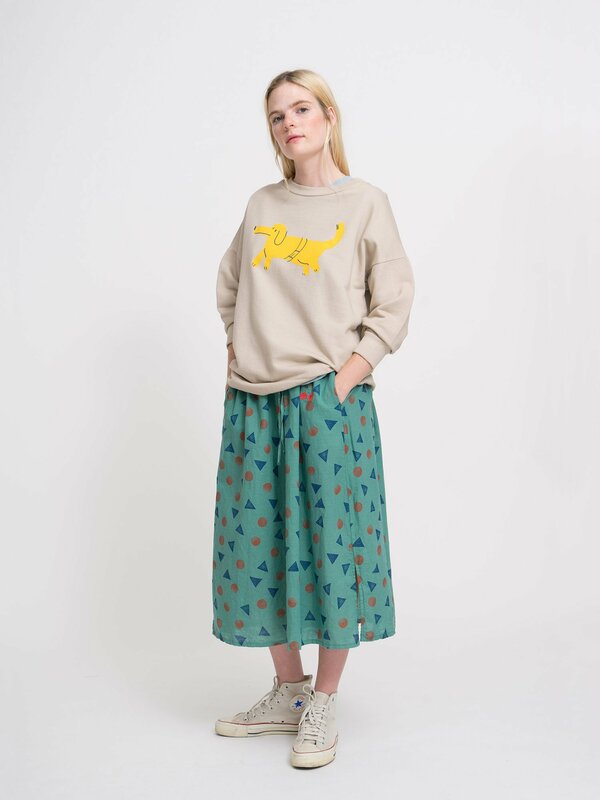 This garment belongs to our Spring-Summer 2019 collection To Make a Garden, a call for saving the honeybees by planting gardens everywhere, everytime. Make the bees happy. Never stop planting. Have fun! Machine wash up to 30º. Iron up to 110º. No tumble dry. No dry clean. Do not bleach. 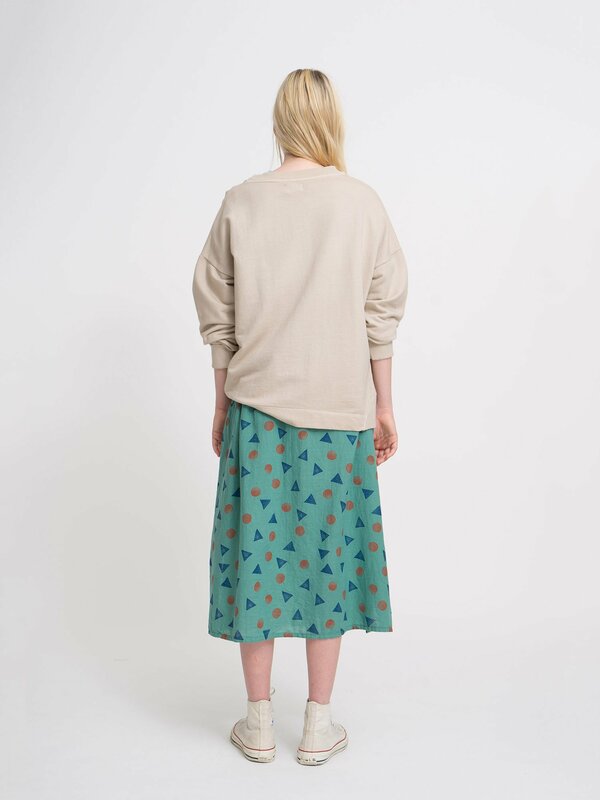 This piece has been garment-dyed for a unique look, and the colors may change after washing.